HŽ employees and police officers will be at level crossing in Zagreb, capital city - stopping vehicles, warning about necessary attention and observance of signalling fitted at level crossings and handing out promotional flyers. The safety message on the 2014 posters is: "The most important stop of the day!" : "Najvažniji STOP tijekom dana!" Participation in the ILCAD international press conference and round table on 3 June 2014 will take place in Lisbon, Portugal. 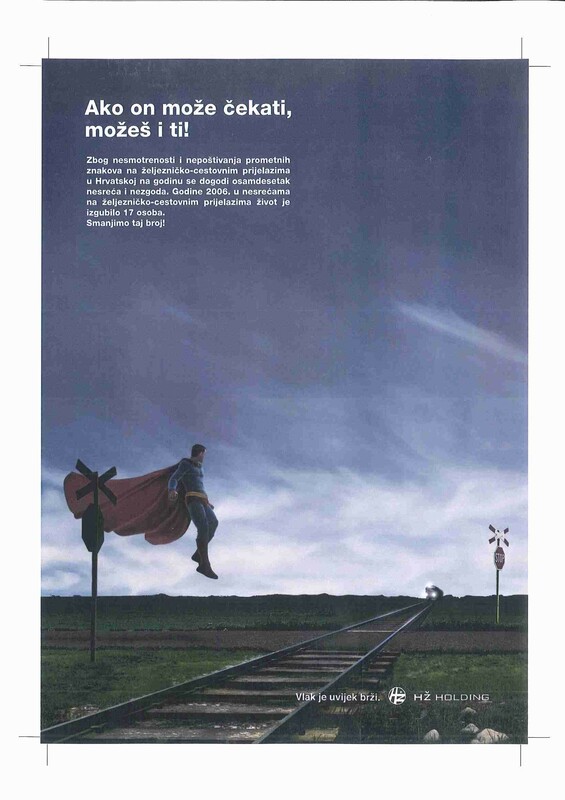 „On May 3, 2014, the International Level Crossing Awareness Day, i.e., ILCAD 2014, was marked at the Sesvetska Selnica level crossing (Zagreb railway ring).